SHINEDOWN has announced new summer tour dates as part of its 2019 "Attention Attention" world tour, beginning June 21 through July 27. BADFLOWER, DINOSAUR PILE-UP and BROKEN HANDS will support SHINEDOWN on these coast-to-coast dates produced by Live Nation. Fan club presale begins February 5 at 10 a.m. local time. Citi is the official presale credit card for the tour. As such, Citi cardmembers will have access to purchase presale tickets beginning Tuesday, February 5 at 10 a.m. local time until Thursday, February 7 at 10 p.m. local time through Citi's Private Pass program. General on-sale begins February 8 at 10 a.m. local time at LiveNation.com. The 2019 "Attention Attention" world tour kicks off February 20 in Estero, Florida at Hertz Arena, which will see the band pack arenas backed by its biggest, most eye-popping production yet. 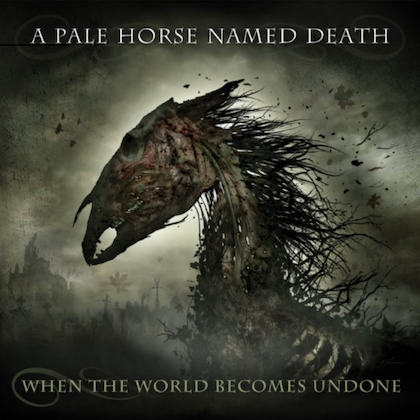 PAPA ROACH and ASKING ALEXANDRIA will open all shows. 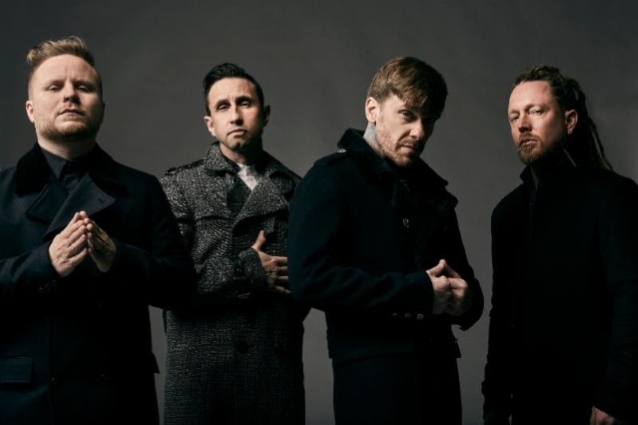 In the middle of the tour, SHINEDOWN will kick off a more intimate, limited run of dates in May titled "An Evening With Shinedown", offering fans an exclusive, up-close-and-personal live experience. 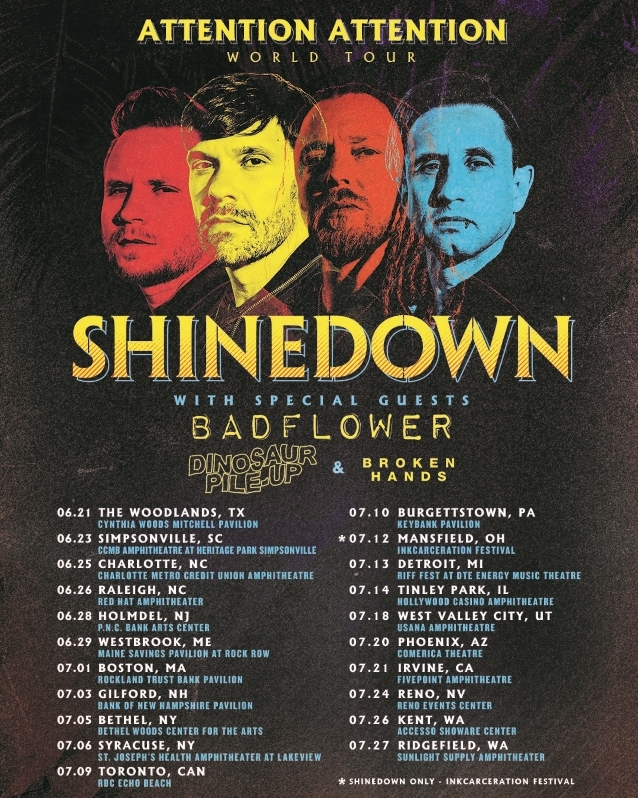 These special shows, inspired by the high demand for tickets to SHINEDOWN's three intimate, year-end shows at the House of Blues in Orlando, begin May 6 in New Orleans at The Fillmore and will include back-to-back nights in Atlanta, Myrtle Beach, and Nashville. 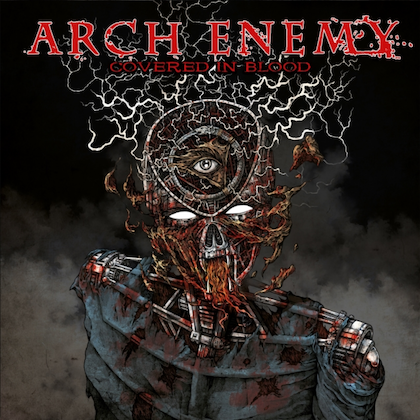 Additionally, SHINEDOWN will return to its roots in Jacksonville, Florida for an epic set at Welcome To Rockville on May 4, and will headline WNOR Lunatic Luau 2019 on May 17 in Virginia Beach, Virginia, MMRBQ on May 18 in Camden, New Jersey, Rocklahoma on May 24 in Pryor, Oklahoma, Inkarceration festival on July 12 in Mansfield, Ohio, and Riff Fest on July 13 in Detroit, Michigan.